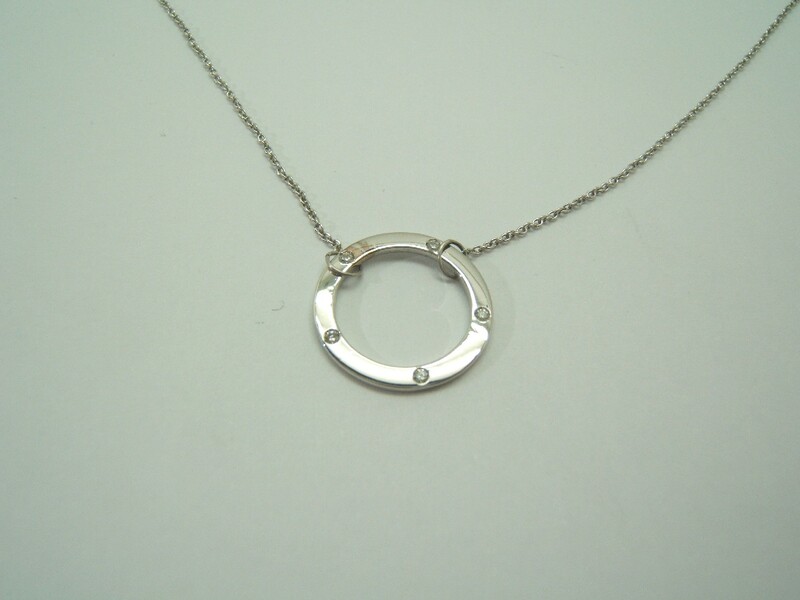 Necklace with disk "Ring of life" made in white gold of 750/000 with 5 brilliant cut diamonds of 0.025 ct total weight. This necklace has been made by "Master Craftsmen". As set forth in the resolutions of the United Nations. The diamond described herein have been purchased from legitimate sources not involved in funding conflict whatsoever, as it is known by the seller, either by express knowledge as written guarantees by the supplier of the diamonds.